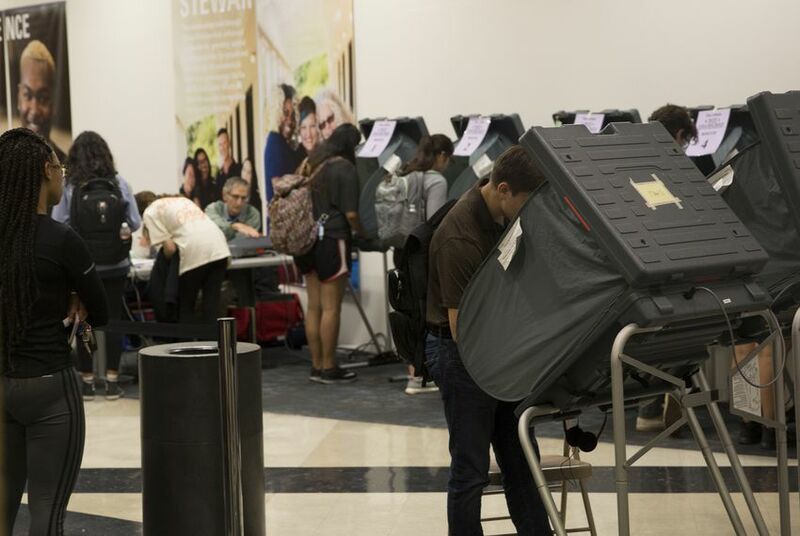 The state’s list of voters has shrunk since the announcement because it was discovered that tens of thousands of legitimate voters were mistakenly included on the list and had proved their citizenship status when registering to vote at DPS offices. Election officials have since confirmed that the remaining list includes naturalized citizens who didn’t register to vote at DPS offices. In their complaint, the plaintiffs — represented by the ACLU of Texas, the national American Civil Liberties Union, the Texas Civil Rights Project, Demos and the Lawyers’ Committee for Civil Rights Under Law — argue that Whitley “declined to include safeguards” in the process that would ensure naturalized citizens weren’t erroneously included on the list. The secretary of state’s office, which did not immediately respond to a request for comment, has not admitted fault in the process. Republican Gov. Greg Abbott and other state officials instead have held firm in the citizenship review efforts even as local election officials have raised doubts about the accuracy of the list. Meanwhile, local election officials in the counties included in the lawsuit have begun sending out notices asking voters for proof of citizenship within 30 days in order for them to remain on the voter rolls, based on an advisory they received from the state. Galveston County Tax Assessor-Collector Cheryl Johnson, who oversees the voter rolls and is also named as a defendant, has told The Texas Tribune that she notified more than 90 voters last week that their citizenship status had been questioned. Like the other lawsuits against the state, the latest legal challenge also asks a court to block Texas counties from sending such notices. After the secretary of state’s office informed Johnson it had mistakenly flagged voters whose citizenship status was not in question, Johnson spent Wednesday preparing follow-up letters to a majority of those voters to inform them their registration was safe. Calls from civil rights groups and Democratic lawmakers for the secretary of state’s office to rescind its advisory have been met with silence by the secretary of state’s office, but the number of flagged voters confirmed to be naturalized citizens continues to grow — a move that serves as proof of the state’s willingness to discriminate against naturalized citizens who are likely to be people of color, the plaintiffs claim in the latest lawsuit. “The Secretary of State’s determined insistence on following through with the purge, despite knowledge that it will disproportionately burden naturalized citizens, demonstrates his intention to suppress their fundamental right to vote,” the plaintiffs argue in their complaint. The other two lawsuits filed against the state also claim violations of the constitution and the Voting Rights Act. Seven Latino voters — all naturalized citizens — filed a lawsuit Friday also alleging the state’s efforts were unconstitutional and in violation of the Voting Rights Act because they imposed additional requirements to register to vote on naturalized citizens. Earlier in the week, a Latino civil rights group sued the state alleging the review effort violates a portion of the federal Voting Rights Act that prohibits the intimidation of voters. On Friday, a naturalized citizen in Atascosa County joined that suit after her local elections administrator confirmed she was on the list received by the state. She is seeking to represent all of the legitimately registered voters who appear on the state’s list as a plaintiff class.